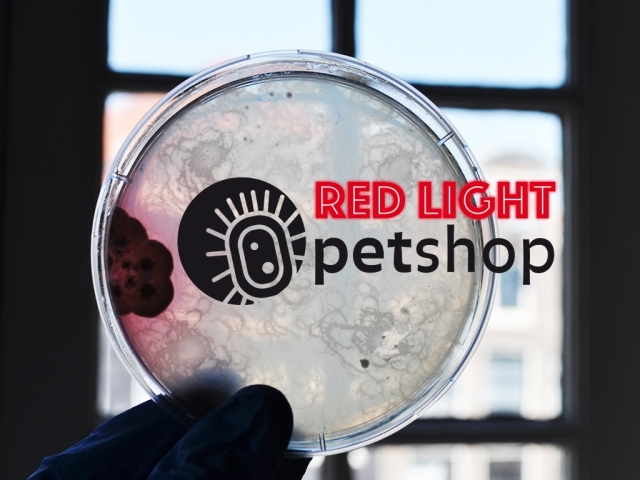 Red Light Pet Shop – How much is that microbe in the window? 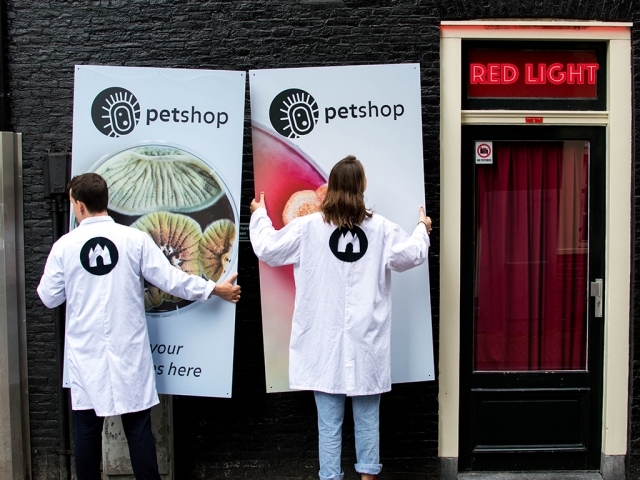 Waag Society is opening the world’s first pop-up microbial pet shop in the heart of Amsterdam’s Red Light District. After hosting two successful events in 2015—at the Dutch Design Week and the Museum Night Amsterdam— they decided to open their biobank to the public for three whole weeks at the Schatjes Gallery! In the Red Light Pet Shop, their curated collection of bacteria, fungi, and algae will be available for purchase. Caring for these creatures is fun, educational, and highly rewarding! So come pick up some of the cutest micro-pets and wake up each morning to the sight of a happy colony. And remember: if you take good care of your pets, one day they may just take care of you. Once your pets have grown, the possibilities are endless. Want to build a house made of fungi? Or make your own bio-ink? The micro-pets are here to help you fulfill your wildest design dreams! To illustrate the unlimited potential of these tiny friends, Waag Society has decided to hold a miniature exhibition alongside the Red Light Pet Shop showcasing artists, hackers, and designers using biology in new and exciting ways. Over the course of the three week pop-up shop, they will also host a number of exciting public events perfect for satisfying your curiosity. If you want to join, please RSVP at the Dutch DIY Bio Meetup. Pet Shop is part of Waag Society’s aim to make biotechnology accessible to the public. The biotechnology and bio-design revolution has, thus far, been confined to university and commercial laboratories, but now artist, designers, hackers, and activists are becoming increasingly interested in the fields. Such curious minds can conduct their research (along with their micro-pets) at Waag Society’s Open Wetlab. The Open Wetlab is part of Waag Society’s tradition of opening up closed systems. There, Waag Society offers workshops where anyone can use their lab equipment and biomaterials to conduct experiments. And, if you join the Biohack Academy programme, you can learn how to build a DIY laboratory at home—the perfect play-ground for your micro-pets! Waag Society also has an online pet shop were you can buy microbes and accessories (designed by María Boto Ordóñez) for these tiny cuties. 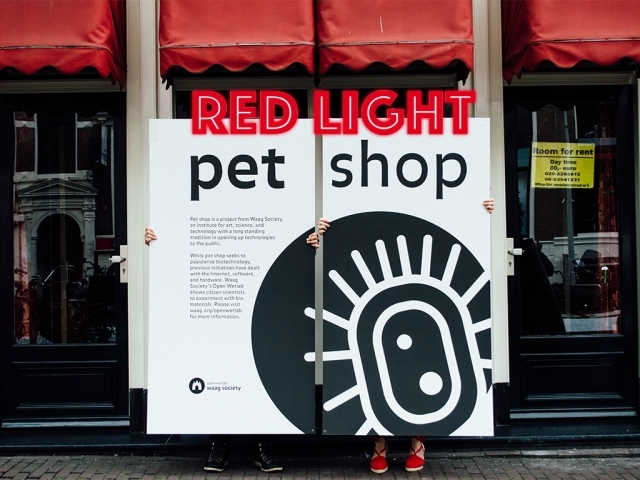 The Red Light Pet Shop is brought to you by a team of makers from Waag Society.